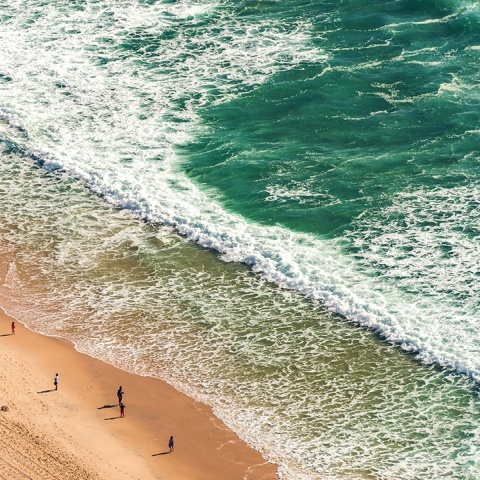 The Gold Coast is Australia’s playground... a sparkling strip of imposing high-rises, sun-drenched beaches, mansion-flanked waterways and world-class entertainment. 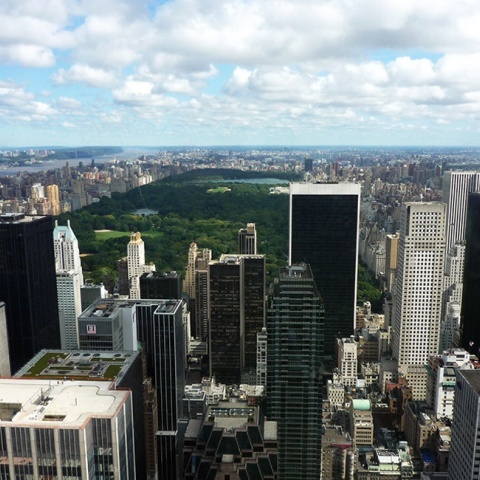 Enjoying an idyllic year-round climate, a spectacular range of natural landscapes, and a large selection of attractions – covering everything from theme parks to shopping centres and nightclubs to restaurants – the region attracts millions of visitors every year. 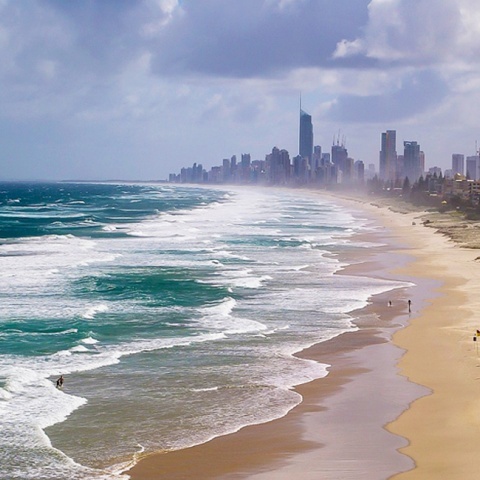 Exuding a stunning contrast of natural and man-made diversity, the Gold Coast can be as scenic and serene, as it is fast-paced and bustling. 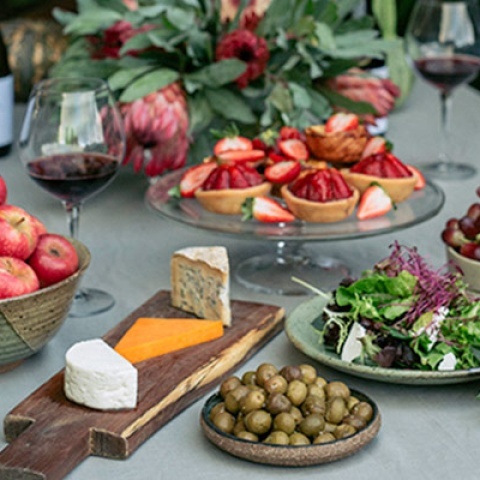 Due to the enormous demand from interstate and international visitors, the Gold Coast has a diverse and thriving dining scene, brimming with varying cuisines. At the southern tip of the strip, the relaxed beachside setting of Coolangatta is the Gold Coat’s go-to for casual dining. 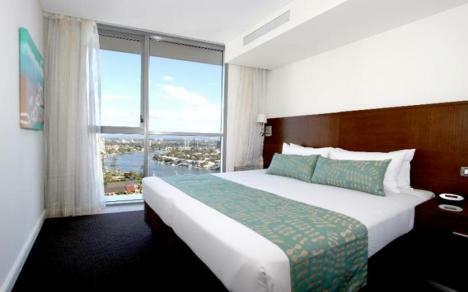 Enjoy sweeping views of Coolangatta Beach through to Surfers Paradise at one of Marine Parade’s eateries – the beachside esplanade offers everything from seafood, modern Australian, Mexican, Japanese, Italian and Thai. Just north, Burleigh Heads also presents a number of great causal dining options, speckled with the odd fine dining restaurant. Take a stroll along The Esplanade and Connor Street, where cafes, pubs and diners host most of the area’s dining trade. For a special night out, book a table at one of Goodwin Terrace’s fine dining restaurants, and enjoy stunning views of the Glitter Strip’s coastline. Broadbeach has one of the Gold Coast’s most on-trend dining scenes. Hip and evolving, the thriving beachside suburb features some of the finest restaurants on the Coast, with a variety of cuisines. 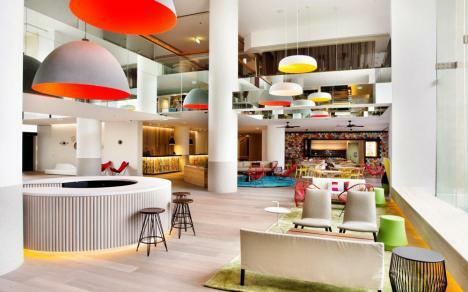 The main strip, along Surf Parade and the Broadbeach Mall, is dotted with relaxed fine dining options and comes alive after hours with trendy lounge bars and nightclubs. For the most unique dining experience on the Coast, reserve a seat at Draculas – Australia’s longest running and most successful dinner theatre. The Gold Coast’s main tourist centre, Surfers Paradise has the biggest selection of the best dining and nightlife options in the region. 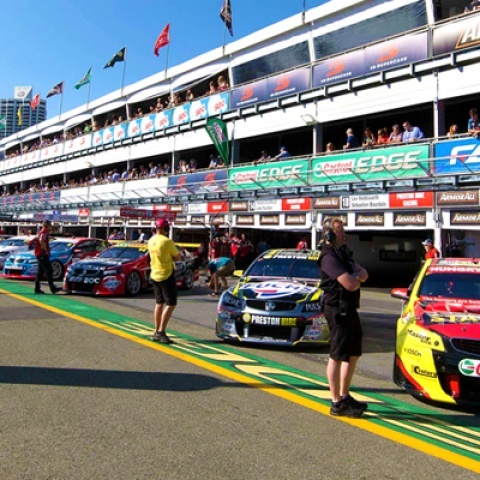 The block made up by the Esplanade, Elkhorn Avenue, Surfers Paradise Boulevard and Cavill Avenue hosts most of the area’s activity – with multicultural restaurants, seafood and steak houses, fast food chains, fine dining establishments, bars and nightclubs spilling into the streets. Situated at Main Beach, Marina Mirage is considered the Gold Coast’s most upmarket dining precinct. Its waterfront boardwalk overlooks Broadwater’s floating marina and borders more than 90 designer boutiques and restaurants. Enjoy an afternoon cocktail or indulge in a decadent meal at one of centres many award-winning restaurants. The true essence of the Coast’s dining scene shines at its numerous surf clubs. 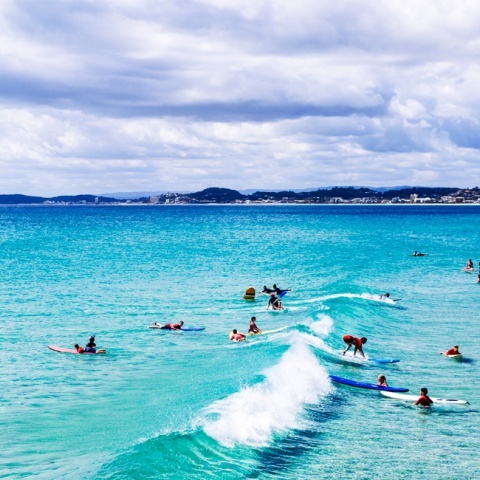 Highlighting Gold Coast culture and lifestyle at its best, surf lifesaving clubs like Currumbin Beach, Greenmount Beach, Rainbow Bay, Nobby's Beach, Tugun and Southport offer relaxed beachfront dining, with the uninterrupted and unparalleled views of Australia’s most famous coastline. The Gold Coast is Australia’s most popular non-state capital shopping destination. Centres, promenades, malls and markets inundate the area’s 70-something suburbs, offering shoppers a diverse variety of retail opportunities. 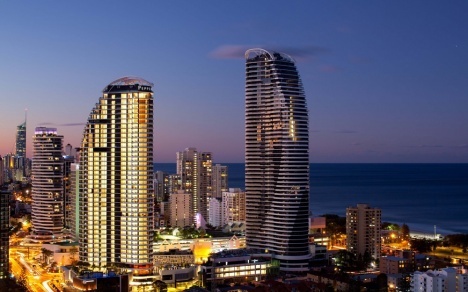 Surfers Paradise and Marina Mirage are the Coast’s premier shopping precincts. Surfers Paradise offers an inviting mix of chain and one-off stores amid a high-street atmosphere. Marina Mirage is Queensland’s most luxurious shopping zone with more than 90 designer boutiques and restaurants perched on the Broadwater waterfront. Shopping centres mean big business on the Gold Coast, and dominate the area’s retail trade. Pacific Fair is one of Australia’s most iconic shopping centres, with almost 300 specialty stores and the Coast’s biggest Myer. The Oasis shopping centre is Broadbeach’s go-to for retail therapy, accessible by monorail from Conrad Jupiters Casino. Robina Town Centre is a premier retail and leisure destination with a wealth of shopping choices, and the Coast's only David Jones. The multi-level Australia Fair shopping centre at Southport is home to 230 specialty stores as well as the major department stores. While Harbour Town is a bargain-hunter’s paradise, with more than 120 outlet stores all selling at heavily-reduced prices. A number of suburban markets showcase the area’s best locally-produced food, fashion, art and craft. Held on Sundays on the beachfront at Broadbeach, Coolangatta and Burleigh Heads, the Art and Craft Market on the Coast, boasts over 150 stalls of original of Australian-made products. Held every Wednesday and Friday night on the Surfers Paradise foreshore, The Surfers Paradise Beachfront Markets attract throngs treasure hunters, bargain spotters and after-dinner strollers. Carrara Market is Queensland’s biggest permanent weekend marketplace with over 500 stalls sprawled over 10 acres. Held on first and third Saturday of the month the Marina Mirage Farmers’ Markets stock the best in local produce. While the Monaco Markets set up store on the last Sunday of the month in Broadbeach Waters, specialising in high-end preloved fashion.